Home Human Resources Do You Have An Employee Review Process? Whether you are a giant corporation with tens of thousands of employees, or just a small business with 10 employees, you have a responsibility to them, and they to you. Your workers are responsible for successfully performing their job duties as agreed when you hired/promoted them. And you have a responsibility to oversee that they fulfill their end of the agreement. 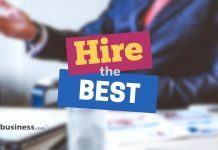 Performance reviews can also be useful to air out any pent-up negativity or resentment, as well as clarify any confusion as to the expected duties. It also solidifies communication between employee and employer so that there remains a clear line of contact for each. However, most small business companies are not equipped with a Human Resources manager who can develop and oversee the review process. Thus, it is up to you, the business owner, to assure that your employees are up to their task. One of the first things you should do at the beginning of any review process is set the employee’s objectives and goals. This can usually be taken directly from a job description that has already set out detailed objectives. Consider meeting with the employee as well to create their own review objective form that is appropriate for their level. For instance, a new employee may not be expected to know every process within the first 90 days, but a veteran employee of two or more years may include additional projects to complete as assigned and as part of their review process. S – Specific. Make each goal or objective a simple yet specific statement. M – Measurable. The goal should be measurable, i.e reducing mistakes by 25%. A – Attainable. Don’t try to set a goal that is impossible to come true. R – Realistic. How high should a goal reach? Is it attainable and realistic? Make it something that can come true. T – Timely. Goals should be able to be met in a timely fashion, such as by the next review. Determine the frequency of your employee performance reviews. Keep in mind that a yearly review should be the minimum, but an annual review has a tendency to be forgotten and put off until the last minute. This doesn’t make for a thorough or truly analytical viewpoint. Consider a 90 day formal review after first hire, then at least a semi-annual review thereafter. That way, you can truly integrate the review process in each employee and each position. You might also consider just a simple one-on-one meeting each month just to check up on the status of each employee and how they feel about meeting their goals. Determine whether your employee reviews will be used as a basis for pay upgrades. Some employers may use the review as a simple pass/fail basis for an established level of raise. If the employee has done their job well, then they get that 4% raise. Others may use detailed review and scoring to determine an appropriate level of pay raise. For instance, you may rate various parts of the review on a scale of 1-5. You may give a 2% raise for an average score of 1-2, a 3.5% raise for a score of 3-4, and a 5% raise for those who consistently rate a 5 on their review. Consider making a self-review as part of the whole review process. A self-review requires the employee to sit down and objectively think about his or her job description, and assess his or her success at meeting performance goals. These can reveal to the manager or supervisor where the employee feels they could use the most improvement, and steer them into forming appropriate goals. The same work day after day and year after year can get dull and monotonous. If the employee is continually developing his or her skills and improving their performance, both the worker and your business benefit. Be sure you discuss options for continuing development, such as taking a class at the local community college, attending a seminar, and even discussing employee goals in terms of promotion. Your employees are your greatest asset. They work for you and see that your business goals are met. Be sure to give them the respect of a regular review for the work they do, and reward them for their successes.